Considered “biodiversity reservoirs,” underwater caves are yet to be explored with only a few thoroughly researched areas in the world. Furthermore, species diversity and distributional data is currently scattered enough to seriously hinder conservation status assessments, which is of urgent need due to planned and uncontrolled coastal urbanization. Thereby, a large international team of scientists, led by Dr Vasilis Gerovasileiou, Hellenic Centre for Marine Research, Greece, have undertaken the World Register of marine Cave Species (WoRCS) initiative meant to aggregate ecological and geographical data to eventually provide information vital for evidence-based conservation. Their Project Report is published in the open access journal Research Ideas and Outcomes (RIO). With more than 20,000 existing records of underwater cave-dwelling species spread across several platforms, the authors have identified the need for a new database, where a standard glossary based on existing terminology binds together all available ecological data, such as type of environment, salinity regimes, and cave zone, as well as geographical information on the distribution of species in these habitats. 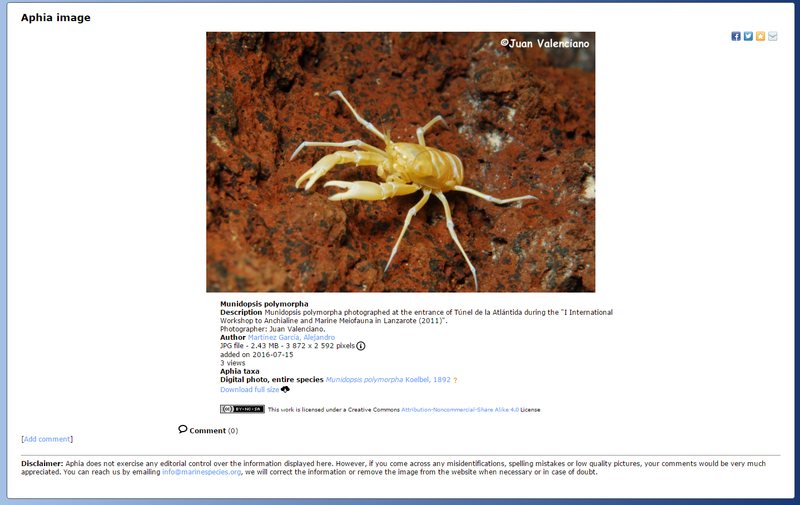 In their project, which has already produced a dynamic webpage, the scientists work within the context of the World Register of Marine Species (WoRMS) to add the already available records published in peer-reviewed outlets to reliable and case-by-case verified unpublished data, available from offline databases, museum collections and field notes, as well as the findings of the WoRCS thematic editors themselves. Eventually, these presence records could be georeferenced for submission to the Ocean Biogeographic Information System (OBIS) and constitute an important dataset for biogeographical and climate change studies on marine caves and anchialine systems. To invite both the marine biology scientific communities and citizen scientists, WoRCS is meant to adopt a number of strategies. Short and mid-term plans to engage the scientific community include development of common projects on poorly known marine and anchialine caves; projects that use WoRCS data; initiation of a fellowship programme to engage young researchers; and work with societies. In the meantime, WoRCS is also intended to develop educational, citizen science and conservation activities, by creating products (e.g., maps, guides, courses) for the public, engage volunteers to encode data, and develop tools for MPA managers and the conservationist community. “In particular, each time that a project about caves is funded, a work package or module or deliverable about WoRCS should be included to employ students and young researchers for data encoding, or to facilitate new types of data, or new links to other e-infrastructures and data tools,” suggest the WoRCS thematic editors.